Change. Safety. These seem to be conflicting terms. When we start moving towards our goals, a part of us is delighted. Another part of us, however, does all it can to preserve the feeling of safety through stability. I am a business coach, life coach, trainer and organization development specialist. I am devoted to support my clients in reaching their individual and organizational goals, and finding new / better solutions for the challenges they face, in a way that makes it safe to change. We achieve this by creating emotional safety in the process to reach the goals; by letting the Client decide the speed and depth of the process; and by providing a wide variety of methods and approaches to ensure tailor-made growth and reaching their full potential. I like to build on already existing strengths in the process. I believe that everybody has the knowledge, potential, experience and opportunities to reach their goals. Besides reaching the goals of the coaching process, it is also important that my clients’ self-confidence and consciousness grow. This enables them to recognize and solve similar challenges more easily in the future. Thus the results of our work together become long-lasting. It is vital for me to walk the talk and stick to my personal development process, so I regularly go to professional supervision and continue learning new methods. I am value-driven, which a special emphasis on ethics and the privacy of the processes I deliver. In order to keep the feeling of safety and tailor-make the development process, my clients decide its speed and depth. I offer a wide variety of methods and tools for the journey: I work with solution-oriented approach, Gestalt, Transactional Analysis, personality tipologies, system constellation, questions and active listening, storytelling, focusing moments and humor. Besides coaching, I also work with Focusing and body-conscious methods. I am a qualified practicioner in a number of psychometrics including ARPe©, GPOP™, DISC, BM (Business Motivators) and Hogan Personality Suite and I can integrate these in my training and coaching activities. I believe in development processes. Much of the development and change happens between our sessions. The process also gives space for applying new and different solutions safely. Furthermore, we can also work on the new questions and dilemmas that may arise while the client is learning to integrate the new set of behavior. I have created and delivered organization development and leadership development processes for multinational companies as well as SMEs and non-profit organizations, from a headcount of 15 to 1800. I have seen and worked with the most typical challenges of managers, leaders, project managers and experts. I have also supported structural and cultural changes of teams, organizational units and organizations. Besides these professional areas, I have had the privilege to coach individual clients in a wide variety of coaching topics. I find it exciting, energizing and joyful to be a part of the change that results from our joint efforts. I have been developing individuals and organizations for more than 10 years. I have a coach certification from Lemma coaching school, and a brief coach certification from the Hungarian Psychological Association. I also have an Action Learning Team Coach certification from Gestalt Coaching Center. 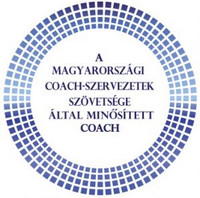 I am a certified coach of the Hungarian Coaching Association. I am a member of ICF (International Coach Federation) and EMCC. I have an ACC (Associate Certified Coach) credential at ICF. Besides reaching specific coaching goals, executive coaching results in more awareness and a more conscious leadership behavior in everyday situations. Project Coaching supports project leaders, key project members, or the whole project team in overcoming project-specific, team-specific and context-specific challenges for delivering extraordinary results on time. Everybody has the potential to reach their goals. A coach helps in recognizing, articulating and reaching personal goals. As a result, you can make the most of your life and make necessary changes in a safe and supported way. Besides individual learning, a collective, group-level learning is also created during Team Coaching sessions. Participants also take away a sense of belonging, and can support each other on the road to success. „I knew coaching before I started to work with Kriszta, I had experienced the efficieny and advantages of this method earlier, too. Kriszta helped me cope with the initial difficulties and challenges when I started to work in the organization as a new manager. She supported my onboarding process, and supported me in resolving conflicts. Kriszta always facilitated the kind of dialogue where I could find my own answers to my dilemmas. It was very useful for me that Kriszta had a different perspective on my situation. She asked questions I would probably never have asked myself, and always made me think. The tools and methods she applied always contributed to my development. Lilla Rados, Head of Capex Management Center, Magyar Telekom Nyrt. „I had been President of the Hungarian Somato-Psychoterapeutic Association for a year when I started to work with Kriszta. 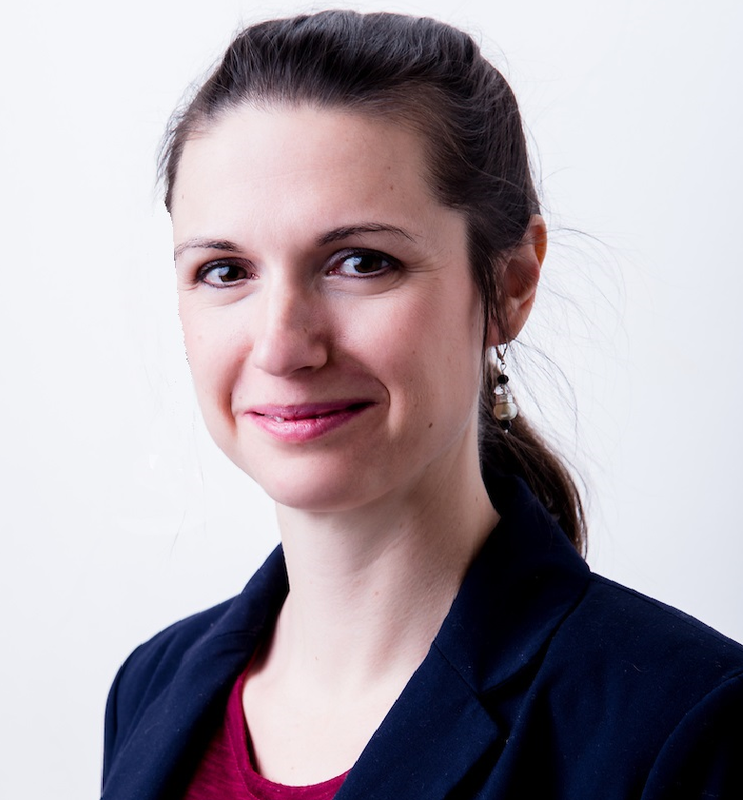 She worked with us as a coach and organization development specialist. She helped me in fulfilling my leadership tasks, finding common ground with my colleagues, and also helped us as a team to create our way of efficient cooperation. „I met Kriszta Medgyesi through a personal recommendation in the beginning of 2016. I turned to her with the challenges of an organizational transformation in a civil society that I was leading. I felt already in our first meeting that we would be able to work together very well. Kriszta gave me her full attention and presence then and in every other session. Her concentration, vision point, paradigm-shifting questions meant a lot to me week by week. We worked together for 6 months. As a result it became clear to me, what personal and material framework and what operational norms will define our organization. She did not give direct advice but supported me in finding the answers and solutions most appropriate to my questions.